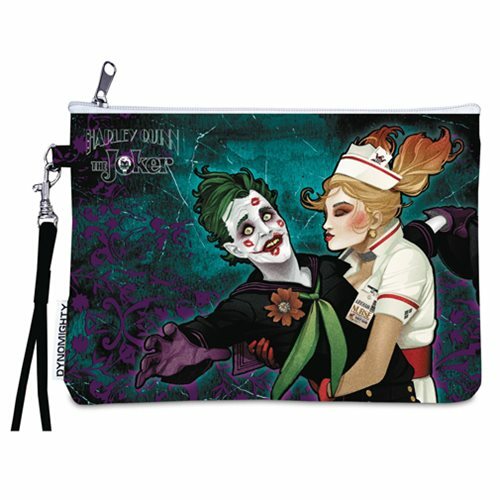 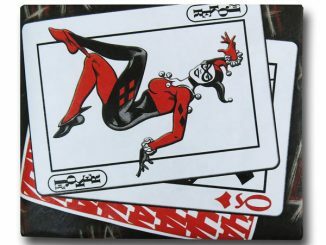 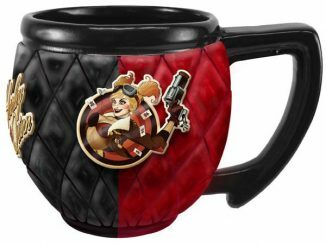 This DC Bombshells Joker and Harley Quinn Wristlet Purse features DC Bombshells art of Harley Quinn and The Joker! 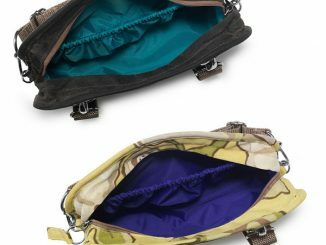 It has one large zip pocket with smaller inner pockets and a wrist strap for easy carrying. 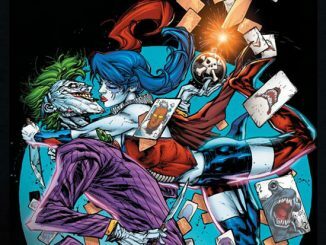 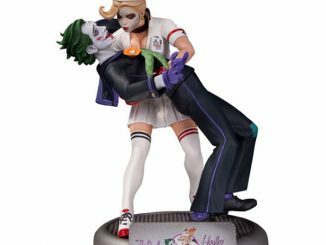 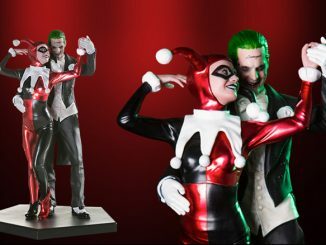 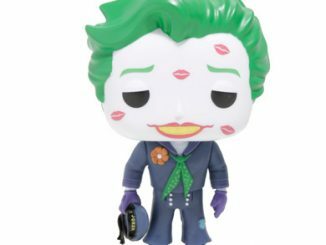 It shows Harley Quinn smootching the Joker and the Joker looking really worried he might not get away. 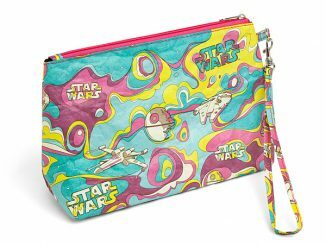 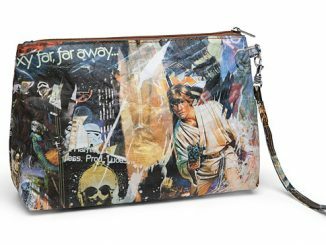 This wristlet is made of slim but durable Tyvek, so it has a series of interlocking plastic fibers spun in random patterns. 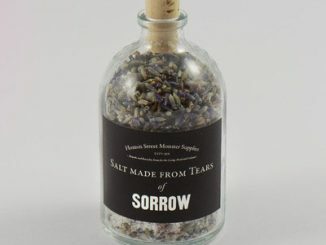 This gives it extra strength and it will resist water and tears. 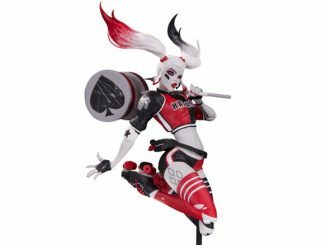 It is only $14.99 from Entertainment Earth.